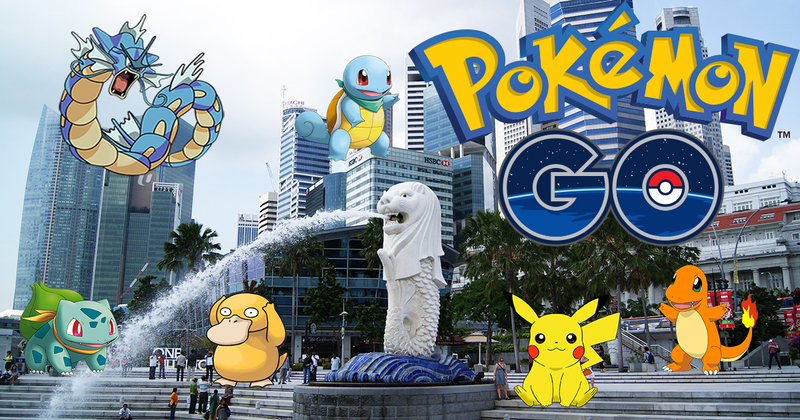 Singapore Pokemon GO Hotspots You Need To Visit To Truly Catch 'Em All! To say that the Pokemon GO craze has hit Singapore is an understatement, and within 1 day of release, social media outlets have been flooded with posts regarding the app. There are tons of guides out there on how to optimise your playing experience, but we decided that it would be helpful to compile a list of hotspots around Singapore for all our sakes. 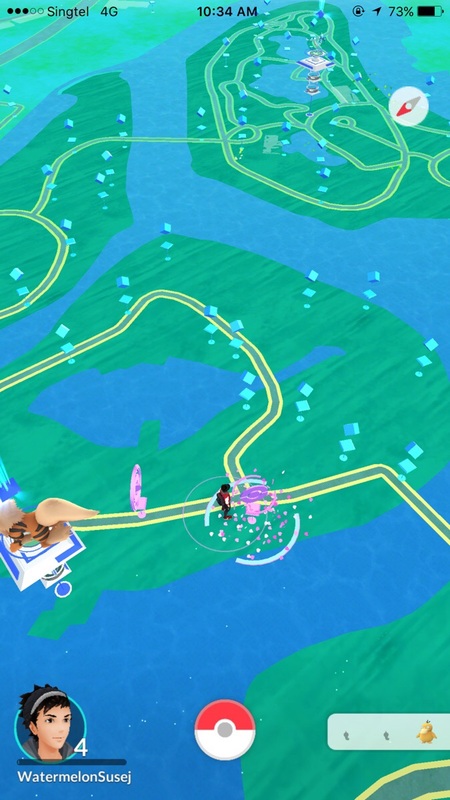 This morning, TODAY reported that the Wildlife Reserves Singapore (WRS) has announced that 4 of its parks – Jurong Bird Park, Night Safari, River Safari and the Singapore Zoo has “eight Pokemon Gyms and 78 Pokestops”. WRS has also kindly developed a map with location details of the Gyms and Stops, and is available on the parks’ websites from today. Regardless, if you’ve not visited our wildlife parks in a while, now’s your best chance to do so! Pika Pika! ⚡️ Pokemon GO has finally landed on our shores! Be rewarded with STAR$ on your digital hunt at #CapitaLand. Stand to enjoy a reward from us when you capture  Pokemon hiding across CapitaLand’s properties in SG! To participate, simply: 1) Follow us on @CapitaLand. 2) Snap  a pic of your catch, upload on IG with a location tag of our property location. 3) Hashtag #PokemonSTAR. You may be rewarded with 2,000 STAR$ for each post & up to 6,000 STAR$ per day, redeemable for some so you can recharge for your quest! We have over 2 million STAR$ in total up for grabs. Visit our profile link for more terms & details!  Recharge with #PokemonSTAR today! Do • Keep an eye on your surroundings – safety first cos’ Nurse Joy won’t be around to bandage you up. • Recharge in our CapitaLand malls – have a cuppa, buy a bag, whatever motivates you! Pokemon hunting can be tiring. • Say hi to fellow Pokemon Trainers – be a friend, tell them about Pokemon locations, and let them in on the fun of #PokemonSTAR. Don’t • Be where you’re not supposed to be – no trespassing! • Make too much noise – some people might prefer a little more peace and quiet. • Forget to location-tag our CapitaLand properties in your Instagram uploads and include the #PokemonSTAR hashtag to win STAR$®! With over 16 participating malls all around Singapore, the mall-building wing of real estate giant CapitaLand is also getting into some Pokemon GO action. From 6 to 10 Augusts, CAPITASTAR members would be rewarded through a snap-and-reward Instagram campaign. Members can also stand to earn 2,000 STAR$® for each Instagram post, and these STAR$® can be used to redeem CapitalandVouchers. The malls are probably located near to any of our homes and easily accessible by MRT, so CapitaLand has definitely picked the right crowd to engage this season. Not only on social media, my various Whatsapp chat groups of friends and acquaintances finding hotspots due to the sheer number of Stops and Pokemon almost succeeded in making a crowd-hating lazy bum like myself head down because #FOMO. Due to the massive number of Lures being used in the area, those who didn’t purchase any Lure Modules also stood to benefit from the generosity of those who did. ION Orchard, which announced yesterday that it would be releasing “hundreds” of Pokemon in the mall, is also offering shopping rewards for ION+members, and are encouraging trainers to participate in a social media contest to potentially win a S$50 shopping voucher. Perhaps, it is Pokemon GO that could revive the lull the retail industry is currently experiencing. 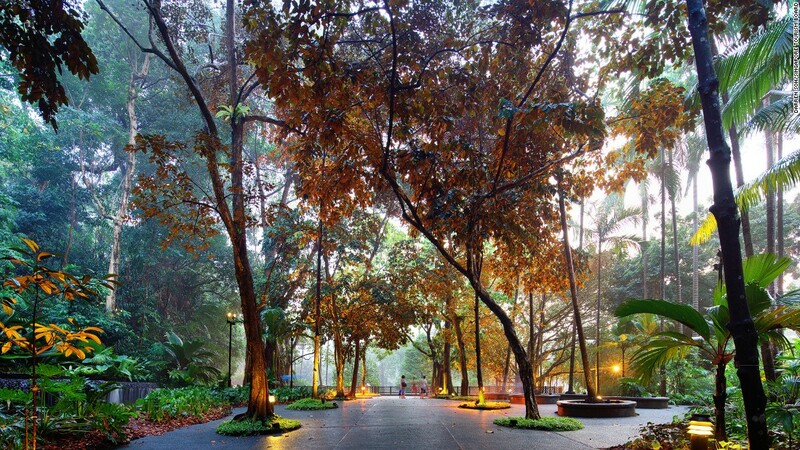 Instead of majorly damaging your eyes by staring at your phone the whole day, why not rest your eyes with some greenery at our Botanic Gardens? According to this Reddit thread, “there are 5 Gyms, and Pokestops every 10 steps”. What’s more, the Gardens is also said to have many places to get drinks, so you won’t need to worry about dehydration especially in this blazing hot weather. Another plus point according to the Redditor? MRTs have also been great places to stumble across Pokemon, and also a great way for Singaporeans to get around to even more Pokestops and Gyms – just remember to tap on the Pokemon quickly. With reference to the unofficial Pokemon GO Singapore map, it also does seem like many MRT stations have Pokestops. However, do note that eggs cannot be incubated while taking a train, or any moving vehicle with a speed above an estimated 15 miles per hour (24km/hr). Fast walkers, don’t fret though – an average human walking speed is 5km/hr, so even if you’re the Usain Bolt in walking, your egg-hatching mission would most likely succeed. Home to already popular attractions like the Universal Studios Singapore and SEA Aquarium, Resorts World Sentosa has hopped onto the Pokemon GO bandwagon and just released a statement on their blog with regards to where to find Pokemon at their attractions. Admitting that they’re “Pokemon trainers too”, the Resort is filled with spots for visitors to catch more Pokemon and collect items. RWS is already crowded enough on weekends – one can only wonder how packed it’ll be this weekend with the increased influx of visitors! Mentioned in The Straits Times, Chinese Gardens is reported to have a high concentration of Stops and Gyms, and is apparently home to “no less than three gyms and at least 20 Pokestops”. 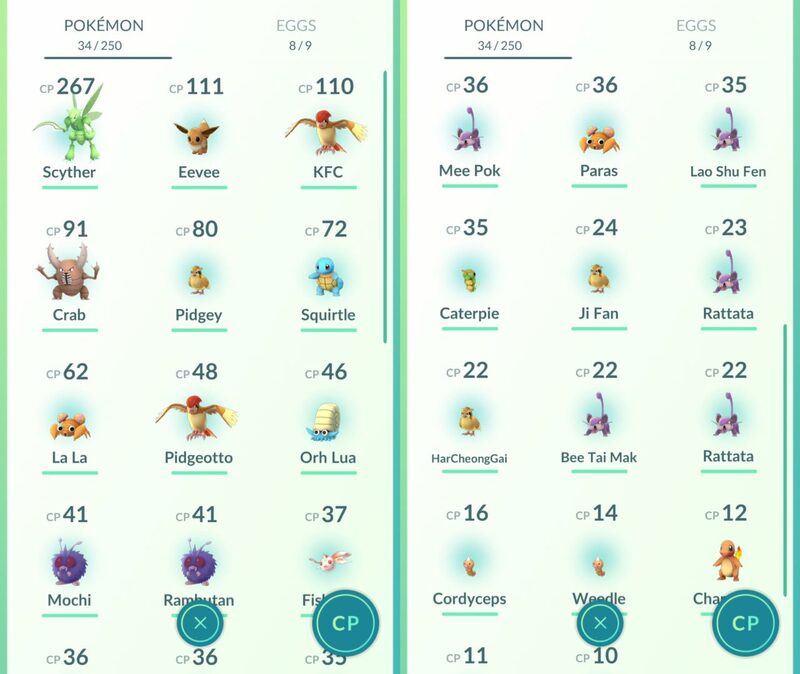 From the screenshot provided by Reddit user Watermelon_Jesus, the report is definitely legit, and trainers have yet another picturesque place to do their swiping. 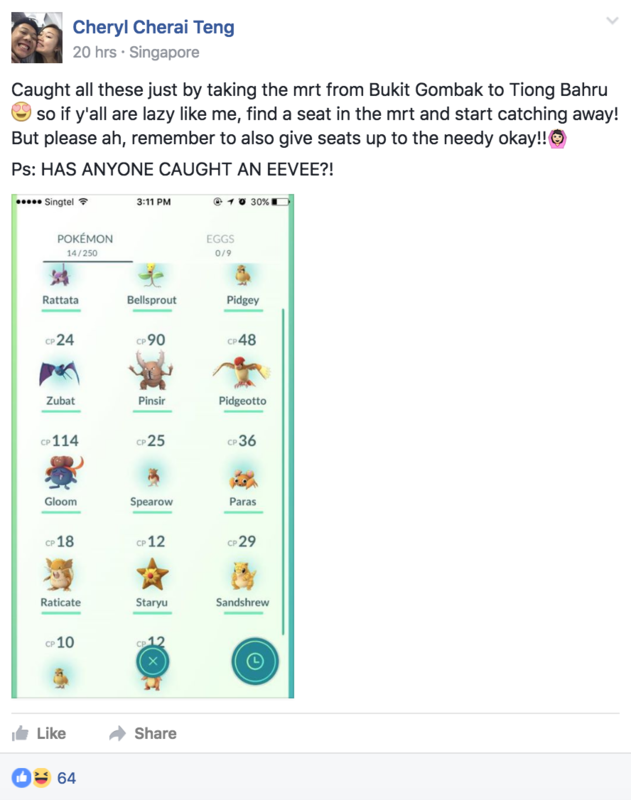 According to users on this Reddit thread, Tampines West has been a great place to catch Eevees, and is potentially a nest for that particular Pokemon. NEX at Serangoon Central, Bishan Park, Ang Mo Kio, Woodlands and Vista Park at Yishun were also some estates mentioned in the thread as places where Pokemons are commonly caught. Lorong Chuan was also reported as a good place for catching Magikarps, with a Redditor catching over 21 of them at the MRT area! To be honest, any estate, as long as there are an enough players who are willing to throw Lures, would be great places for some good ‘ol catching. Just like Singapore’s latest tourism ambassadors, Pokestops and Gyms welcome both tourists and Singaporeans at Changi Airport. Having spent 2 hours roaming Terminal 1 and 3 yesterday, I can definitely vouch for the variety. 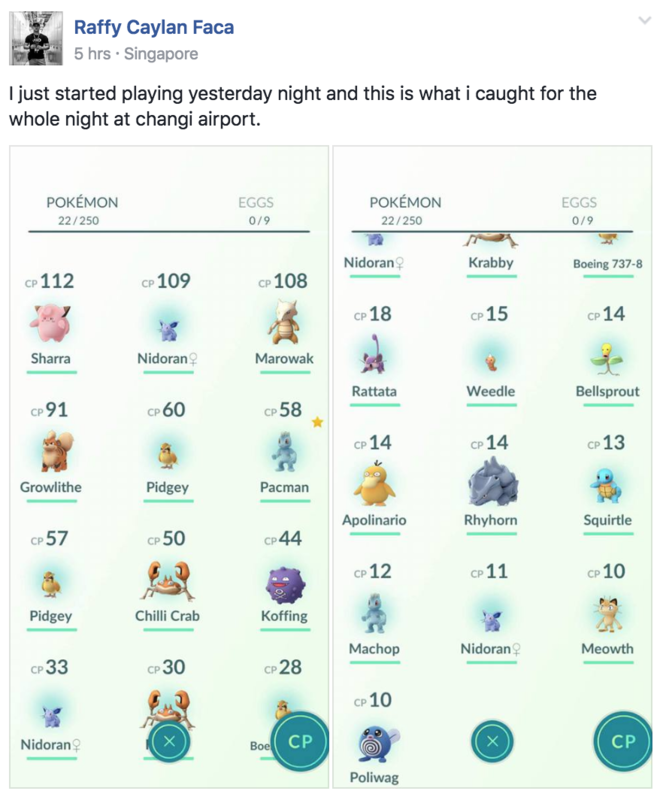 My companion and I also noticed that the Gyms were constantly being taken over by different Pokemon, and it’s safe to say that trainers lurking at the airport were not only searching, but battling to be the very best as well. Lures were also common, and I should have taken photos of a three lures being set at a single location in Terminal 1, but I was too caught up in catching them myself! In the mean time, here are also 5 intelligent YouTube channels that you should check out now.